for Design, Print and Web. We offer a printing service with over twenty plus years of experience in Design, Print & Web related services. If you are looking for either print, design or website services for youself or company, we offer it all as well as exceptional pricing accompanied with good old fashioned service. Mornington Peninsula, Bayside suburbs of Melbourne Victoria. 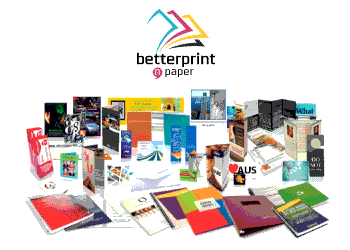 Contact us now to see how Betterprint can assist you. Offering small to medium business a level of service as well as product quality usually only reserved for the large volume users. Betterprint promise to help support growth as well as assist with ease of ordering of all your print and marketing assets. We will always be customer focused, with an eye on service and quality. I love to quote! working out the best options, Betterprint understands that there are many ways to produce a print job, different quality & budgets. We give a price guide on this site, please give us a call or email to discuss your exact needs, you never know… we may be able to offer advice that may result in savings in time and money. Every time you purchase from our standard or non standard products you will receive value and quality that is second to none. We strives to provide you with the highest level of service at all times, ensuring all your needs are met and all deadlines are achieved. Our growing range of standard products is continually expanding making us more competitive and relevant. Phone, Email, Text or On-line. We can setup any system to fit in with your needs, you can be assured your order will be processed in the quickest time possible. We will always provide prompt delivery, we will always meet your specified deadline. 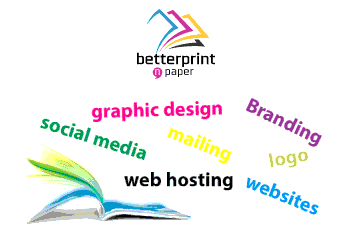 Betterprint n’ Paper can provide dedicated account support who will provide help with all aspects of print manufacture.